A flurry of recent oil market forecasts have sent a lot of mixed messages about what to expect both in the near-term and over the next several years. Is U.S. shale about to flood the market, setting off another bust? Or is demand so strong that with the oil market already rapidly tightening, another price rally is in store? Obviously, nobody knows how to untangle the long list of variables that will ultimately decide what happens next, but the divergence in opinions is rather striking. By and large, the discrepancy is over the difference between the short-term and the medium-term. Surging U.S. shale production is keeping the market well supplied right now, but soaring demand and the lack of major conventional projects in the works will lead to a price spike somewhere down the line. This view is echoed by Goldman Sachs, which made headlines a few weeks ago when it predicted that the elusive oil market “rebalancing” had probably already arrived. “The rebalancing of the oil market has likely been achieved, six months sooner than we had expected,” Goldman analysts wrote in a research note a little more than a month ago. The investment bank said that inventories were probably already back to the five-year average level, and because the data is published on a lag, the risk was that OPEC would end up overtightening the market before such a fact became clear. Of course, this is all predicated on demand continuing to grow at a healthy clip. If the global economy stumbles, and the demand forecasts miss, prices could careen downwards. The brewing trade war that President Trump seems eager to have is the most obvious, but not only, pitfall that lies ahead. Strong economic growth is what’s “really driving demand at levels much higher than recent history,” ExxonMobil’s CEO Darren Woods said at the CERAWeek Conference on Wednesday. “When that demand starts to tail off, if Permian production continues to rise, I think that you’re going to see a different rebalancing of the market and OPEC will have to make some calls around how they want to manage that,” Woods said. Translation: prices will crash if demand starts to slow. The supply side is also a concern. Skyrocketing production from the Permian basin could spoil the party, sparking another price meltdown – a rerun of 2014. The EIA estimates that U.S. oil production jumped by 230,000 bpd in February compared to a month earlier, averaging 10.3 mb/d. That’s an astounding conclusion because just two months ago, the agency was of the belief that the U.S. would average 10.3 mb/d for all of 2018. We have already hit that level and are heading up. The agency has since revised up its forecast to 10.7 mb/d for 2018 and 11.3 mb/d in 2019. Perhaps more importantly, the EIA sees global inventories rising – not falling – both this year and next. In other words, despite the recent drawdowns, the high compliance rate from OPEC and the promise by the cartel to keep the production limits in place for the rest of this year at least, inventories could still build at a 0.4 mb/d pace this year and by an additional 0.3 mb/d in 2019. The supply glut could be returning. In a similar vein, Citigroup’s Ed Morse sees Brent prices falling below $60 per barrel by the summer because of the flood of shale production. Take each of these forecasts with a grain of salt. We have a lot of very smart people predicting wildly different things. We’ll just have to wait and see what plays out. Will Rosneft Move Forward In The Arctic Without Exxon? The fact is that the biggest oil storage in the world, in S.Africa ,has been emptied completely.Also a huge number of super tanker were used as storage.Nowadays there is no more or only few tankers remain as storage.Where is oil from storage tanks? Nick another great, balanced article. Good summary of the tug of war between Oil Bulls and Bears. However, I do think the collapse of Venezuela's oil production, Libya production issues and a severe drop off in deep water investments will cause world wide supply to surprise to the downside. But no question you nailed the two most important aspects: Huge Demand/World Economic Boom vs Permian Supply. The Bears will need some serious builds in March for their prediction that 2018 1st qtr would see large builds. If there are not, the Bull case will have some serious credibility. The jobs report seems to indicate a trend toward longer term demand increases...so, March may just settle the short term debate, the mid to long term debate may already be settled. There is an element of subjective judgement and wishful thinking in most market forecasts. But based on current positive fundamentals of the global oil market for this year and 2019, the re-balancing of the market almost six months earlier than was predicted and also discounting exaggerated claims by the EIA about US oil production, I would say we are heading towards a more tightening of the oil market if not a deficit. 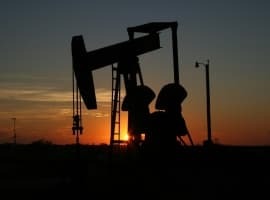 Oil prices are headed towards $70-$75 a barrel this year with the probability of hitting $80 or higher in 2019 provided current positive market conditions continue into next year. China’s oil imports in 2018 are projected to range between 10-11 million barrels a day (mbd) while India’s are projected to hit 4.39 mbd. Both countries alone will add 1.33-1.50 mbd to their oil imports this year. As for a trade war, President Trump has been very much pro-oil in terms of tax legislation and opening areas for exploration in both the Atlantic and the Pacific waters as well as the Arctic. He would not be embarking on a trade war if he knew that it will affect the all-important US oil industry. By imposing tariffs on Chinese steel and aluminium and also considering limiting Chinese investment in the US, President Trump is, in my opinion, preempting China's launch on the 26th of this month of its long awaited crude oil futures contract on the Shanghai Energy Exchange (INE) denominated in petro-yuan. The United States will be trying to bargain away the tariffs for the withdrawal of the crude oil futures contract. China’s impending launch of its crude oil futures contract is starting to worry the United States hugely because of its impact on the petrodollar. Moving oil trade out of the petrodollar into the petro-yuan will take initially between $600 billion and $800 billion worth of transactions out of the petrodollar. Maintaining the petrodollar is America’s primary goal. Everything else is secondary. The petrodollar system provides at least three immediate benefits to the United States. It increases global demand for US dollars. It also increases global demand for US debt securities and it gives the United States the ability to buy oil with a currency it can print at will. In geopolitical terms, the petrodollar lends vast economic and political power to the United States. The launching of the Chinese crude oil benchmark could mark the beginning of the end of the petrodollar. The United States is not going to take this potential threat lying down. Whatever anyone does, don't trust the IEA. Before 2017 they said 2017 demand would be 95.6M/day. Now they say it was 97.9M/day. Only off by 2.3M/day. What a clownshoes organization. It's nuts that anyone still listens to anything they say. In other words - price may up or down. Lets see what happens. Look for shale production to level off or decline. Shale sources of funding will be increasingly constrained by rising interest rates. 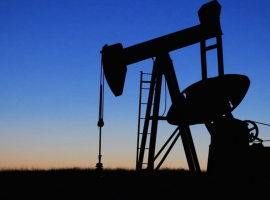 While current projects are pumping at max volume to pay off investors and management incentives, the high shale depletion rate will become a bigger story as capital funding decreases.